Defective or dangerous products cause thousands of injuries every year in the United States, and product liability law differs from ordinary injury law. A defective product is the characteristic of any product having a defect that hinders its usability for the purpose for which it was designed and manufactured. Depending on your case, it might be in your best interest to retain an experienced product liability lawyer or personal injury attorney. If your defective product / product liability claim involves a vehicle that you purchased, it may be a lemon law claim. A lemon law may mandate that if you have a car with a defect, you will automatically get a replacement car. Or, a lemon law can mandate that the manufacturer acknowledge the defect and take the appropriate steps towards compensation. An experienced product injury / product liability attorney can help you to evaluate your case and ensure that your legal rights are fully assessed and protected. A product liability attorney will take action on your behalf and can explain to you when to expect each step of the way throughout your case. 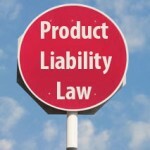 If you have been hurt by a poorly designed or defective manufacturer product and think you might be in need of a product liability attorney, contact LegalHelpLawyers.com today and our experienced product liability lawyers can guide you!